Hydraulic-For 9:1 to 10:1 compression. 383 needs 2500 stall. 440 needs 2000 stall. Use 700-800 CFM carburetor headers 3.91+ gear. 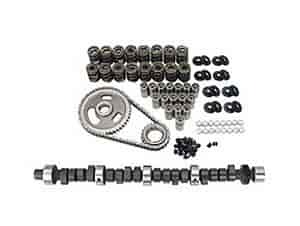 Does COMP Cams K21-237-4 fit your vehicle?